One of the most interesting things about the unveiling of the new Windows Phone 7 platform by Microsoft at the World Mobile Conference was the announcement that AT&T will be Microsoft's "premier partner" in the United States. As much flack as AT&T takes from customers and media, it is still the "chosen one" for premier smartphone platforms. When Apple held its much-anticipated press event launching the iPad, it was widely expected that Apple might also reveal details of the next-generation iPhone, or announce the end of its exclusivity arrangement with AT&T as the sole distributor of the iPhone in the United States. That didn't happen. On the contrary, Apple executives, speaking to investors and analysts on the quarterly earning call that preceded the iPad launch, defended AT&T's data network and reinforced Apple's faith that AT&T can meet the demands, and renewed Apple's commitment to AT&T. Now, only a few weeks later, Microsoft finally unleashes Windows Mobile 7--rebranded as Windows Phone 7--and also throws its support behind AT&T. Granted, Microsoft plans to distribute Windows Phone 7 devices through all four of the major wireless carriers in the United States, but Microsoft CEO Steve Ballmer singled out AT&T as a "premier partner". AT&T has been the target of a variety of complaints from users--primarily iPhone users--who are frustrated with spotty 3G connectivity, and saturated or slow data speeds, among other things. It's public whining in response to Verizon's "there's a map for that" ad campaign served only to draw more attention to AT&T's network issues and support Verizon's claims. Suffice it to say, there are a large number of current iPhone users who feel enslaved to AT&T against their will because it's the only way they can use the smartphone of their dreams. There are also a large number of users who wish they could use the iPhone, but have reluctantly settled on alternative handsets because they refuse to do business with AT&T. It is unclear exactly what "premier partner" status means. 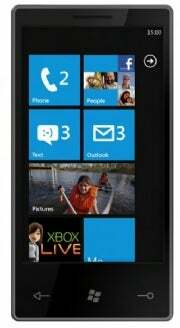 Perhaps AT&T will get exclusive rights to the cream of the crop of the Windows Phone 7 handsets. Maybe AT&T will get preferential treatment in terms of Windows Phone 7 availability. Maybe both. However "premier partner" shakes out, the fact remains that AT&T is the anointed carrier for both Apple and Microsoft when it comes to premium smartphones. Of course, Android-based devices like the Motorola Droid and the Google Nexus One have emerged as alternative next-generation smartphones providing an exception to the AT&T "chosen one" status. While AT&T has yet to add any Android handsets to its inventory of devices, the other three major wireless carriers have embraced the open-source Google platform as an iPhone alternative. Network complaints notwithstanding, AT&T is a very capable wireless service provider. AT&T has already stated its intention to invest heavily in beefing up its network data capacity, and recently unveiled plans to begin rolling out next-generation 4G access beginning in 2011. For small businesses, AT&T also appears to be the more cost-effective option. For service on five wireless phones, with unlimited data, and unlimited text messaging and a combined pool of 4000 minutes--4500 minutes for Verizon, along with the other standard nights and weekends, mobile to mobile, and other calling plan benefits, AT&T is about $100 a month less than equivalent service from Verizon. Granted, if you have 10, or 50, or 300 wireless lines to deal with, the numbers can vary widely and it's up to each business to do its own homework to determine where the best value lies. Obviously, a strong desire for a given device--like the iPhone or the Droid--will predetermine your wireless carrier choice by virtue of the existing exclusivity. Apparently, though, Microsoft and Apple both see some redeeming qualities in AT&T that set it apart from the competition and make it the carrier of choice for high-end devices like the iPhone, iPad, and now Windows Phone 7 handsets.